A Cream For My Teeth! Tooth Mousse can be thought of as basically tooth mineral in a tube. It is a cream for your teeth containing the minerals calcium and phosphate which make up the bulk of normal tooth structure. Scientists have been forever trying to develop such a product that would actually absorb into the tooth and replace its lost mineral rather than just being washed away after it is placed on the tooth’s surface. The developers of tooth mousse have succeeded with their key ingredient, the peptide complex CPP-ACP (casein phosphopeptide – amorphous calcium phosphate), known as Recaldent. Recaldent has been shown in many scientific and clinical studies to remineralise damaged tooth structure by replacing lost calcium and phosphate. It is applied topically to teeth to provide extra protection for teeth and to help neutralize acid challenges from bacteria in plaque and other acid sources. A Cream with a Little Extra! Tooth Mousse Plus is basically Tooth Mousse with fluoride added. Topically applied fluoride is known to strengthen the outer surfaces of the tooth onto which it is placed. However its potential oral health benefits as a topical treatment have been limited by the difficulties in delivering it in a way that allows it to be absorbed into the tooth rather than just remaining on the tooth’s surface. By combining it with Recaldent, the effectiveness of the fluoride is improved by increasing the amount of fluoride that is available for the teeth to absorb. Fluoride ions in Tooth Mousse Plus are surrounded by the Recaldent, holding them in place so the fluoride can be delivered where and when the tooth needs it. In situ studies have shown that Tooth Mousse Plus penetrates more deeply and remineralises teeth to a greater extent when compared to either fluoride by itself or Tooth Mousse alone. Should I Cut Down On The Cream? Tooth Mousse and Tooth Mousse Plus can therefore be recommended in many preventive situations to stop or reduce tooth structure loss as well as to repair tooth structure damage in its early stages. They are useful in patients who are prone to tooth structure breakdown such as those who have an acidic oral environment, suffer from dry mouth and are susceptible to dehydration from sporting activities and outdoor work. They can be used for prevention in those who have morning sickness during pregnancy, increased risk of decay due to medical conditions such as diabetes and low saliva flow due to prescription medications. They can be used to repair early tooth structure damage in those that have erosion or tooth wear, sensitive teeth and active decay in the mouth. They are also useful in those undertaking tooth whitening procedures to reduce the risk of sensitivity and those undertaking orthodontic treatment as it is harder to maintain good oral hygiene. Most patients are convinced about the effectiveness of GC tooth mousse and GC tooth mousse plus. There is plenty of scientific evidence that it works and users have provided many positive reviews themselves. There are many studies showing tooth mousse before and after photos, highlighting the actual repair and strengthening of thinned-out, damaged areas of tooth structure. The main tooth mousse plus ingredients are calcium and phosphate, normal tooth structure components. It makes sense that tooth structure components can repair teeth. It is appropriate for children under six years of age. The main tooth mousse plus ingredients are calcium, phosphate and fluoride. The added fluoride makes it work even better as fluoride is known to strengthen teeth. However, due to its fluoride content, it should only be used in patients six years old or older. Where do you buy tooth mousse and tooth mousse plus? Who are the tooth mousse and tooth mousse plus stockists? As it is a dentist medication, it can only be bought from a dentist upon their recommendation. What is the tooth mousse and tooth mousse plus price? The cost of each is $30 for a tube that usually lasts three to six months depending on frequency of use. So let’s discuss how to use tooth mousse and tooth mousse plus. 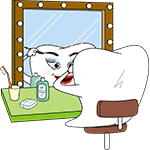 Make sure you brush and floss first as the tooth mousse or tooth mousse plus can only absorb into clean teeth surfaces. Place a small pea-size amount on your finger and smear this over all your teeth. You only need a thin film coating all your teeth. Leave this for at least 30 minutes. The product will absorb into the teeth surfaces and any excess will dissolve in your saliva and your saliva will keep releasing more product to be absorbed into your teeth over time. Please don’t rinse or spit out the excess. It is safe to swallow. Your dentist will tell you to use it usually once a day, commonly before bed. In some cases, your dentist will instruct you to apply the products in customised trays. Either way, your dentist will review the product’s effectiveness at your next dental checkup.